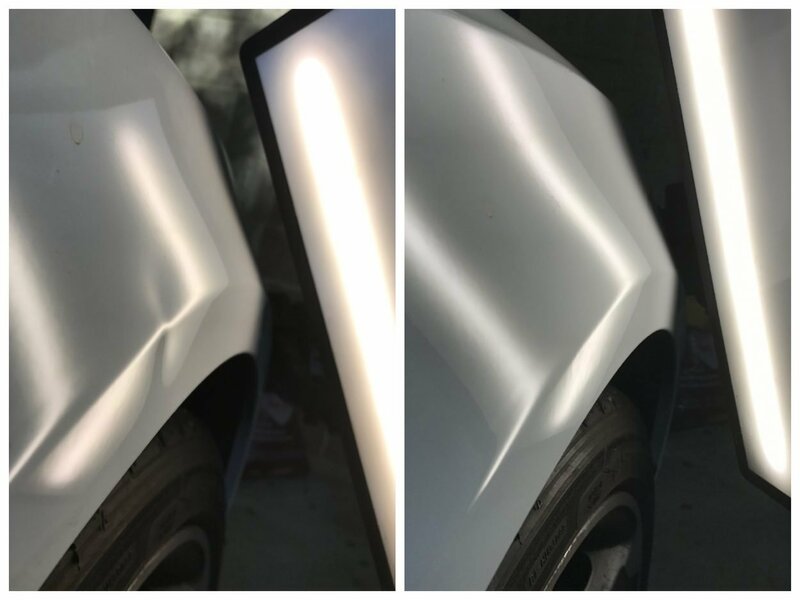 Paintless Dent Removal is a non-invasive technique used to remove dents from your vehicle without the inconvenience and expense of a conventional panel shop repair. 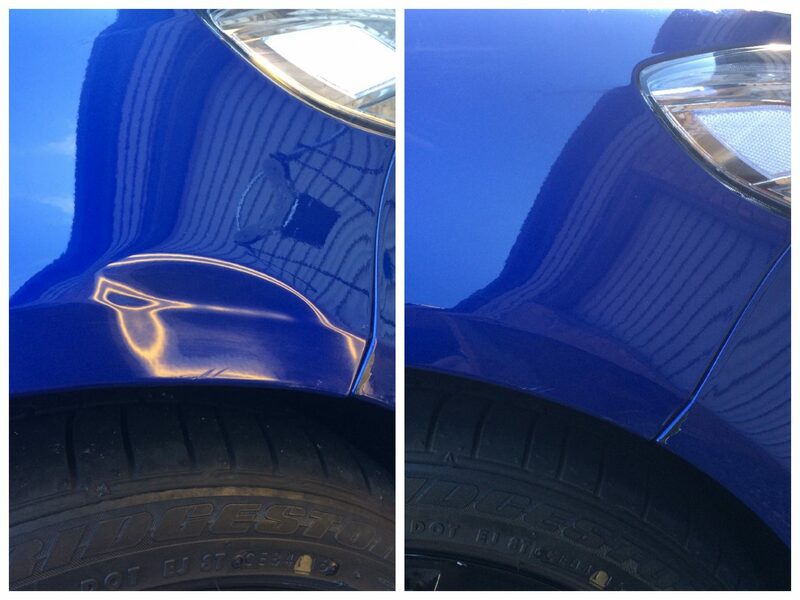 It is the fastest, most cost effective way to remove dents without affecting the factory paint finish. It is environmentally friendly and your vehicle will look like new again in next to no time. 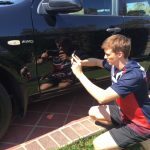 There are two methods to remove dents and our technician will choose the most appropriate technique to ensure you get the best result. The first method involves working behind the panel with specially designed tools to gently massage the damaged metal back to its original shape. The original paint remains intact and there is no need to use nasty fillers or paint. The second method uses a glue pulling technique to remove the dent from the front of the panel. This method is often used in areas where there is no access available to the back of the panel. Specialised lighting is also used to highlight specific features of the dent. For a free quote, please call or send a photo to 0448 844 328. Alternatively, you can complete the online enquiry form.